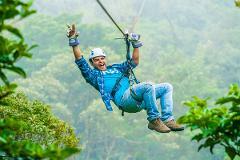 Safety and adrenaline rush oriented top of the line zipline course over the majestic Monteverde cloud forest. 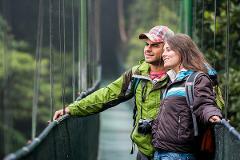 Sky Walk is a spectacular combination of suspension bridges and trails with heights that exceed the treetops. This guided tour gives you the opportunity to enjoy the wildlife of the area. 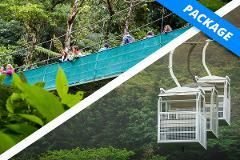 While in Monteverde don’t miss the Sky Tram guided tour that will lead you up to the Continental Divide and to one of the highest mountains in the area. 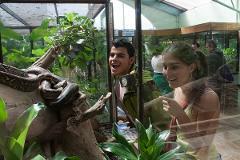 This guided tour is an appropriate place to learn about Costa Rica’s amphibians and reptiles. You'll be able to admire diferent species from up close. Tours are every hour. 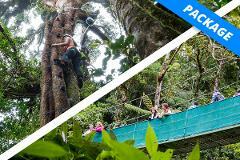 Arboreal Tree Climbing Park, is a new way to explore nature and tree tops. 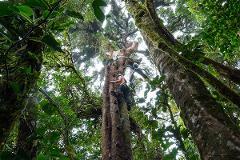 Climb different trees with different heights, levels of difficulties and each one been a different experience. 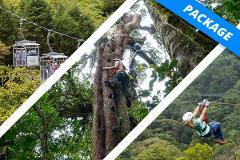 Full Adventure Package: guided tour on the hanging bridges, amazing views on our aerial tramway and feel the adrenaline rush on the unmatched top of the line zipline course. 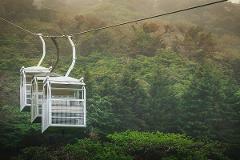 Take the guided tour on the hanging bridges and then ride the Sky Tram gondolas to the top of the mountain to reach the Continental Device. Adventure deep in and over the forest. 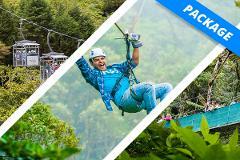 Enjoy an unmatched zipline circuit and the tree climbing challenge. 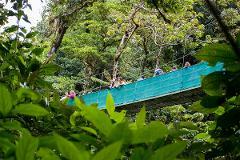 Live this nature loving quest, perfect to get in touch with nature; hanging bridges and tree hugging (climbing). 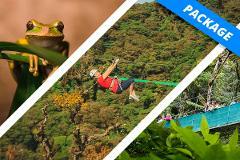 Zipline course and Aerial Tram ride over the forest plus hanging bridges walk to then enjoy a reptile exhibition. A nocturnal adventure to wake your senses and experiment the forest in ways you haven’t imagine. 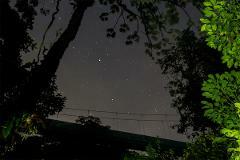 go into the dark mystic forest on the hanging bridges and trails nocturnal walk. 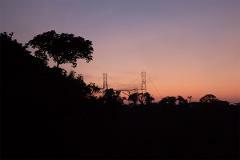 Your exploration will begin with a sunset expedition with panoramic views on our aerial tramway to after go into the dark mystic forest on the hanging bridges and trails nocturnal walk.